Our Paul Penders distributor in Denmark is Milla Jorgensen, besides the marketing of our products she also works also very hard on PR. Lately she got in contact with Anna David, a double-platinum-selling artist in Scandinavia. Especially in Denmark, everyone knows Anna from her lively shows and TV performances. Milla offered Anna to try out Paul Penders ICT (Intensive Clarifying Therapy) plus a few other products of our natural herbal cosmetics. She then wrote wonderfully about her experience doing the treatment what is put here below but first something about Anna David herself, and her amazing music and acting career and also her being a true philanthropist. Huden elsker denne ansigtsmaske (ITC Intensive Clarifying Therapy). Mens cremen tørrer giver dens pebermynteduft en frydefuld inspiration til lugtesansen. Den dufter virkelig superlækker og huden bliver isnende kølig, mens cremen størkner. Det tager ca. 3 minutter og føles skønt, en sand sanselig nydelse. Lovely sunny weather is here again in beautiful Denmark. My mother and I myself feel super fresh right now because we just tried ICT (Intensive Clarifying Therapy) the parade product by Paul Penders Company and …. we are having lots of fun…. We are laughing at each others white ‘clown faces’. 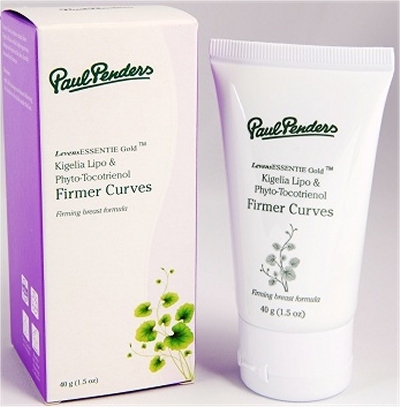 Paul Penders products are all-natural where beauty and ecology go hand in hand. After I became pregnant I have become more observant as to what I put in on my body, as well as my baby’s body as well..
My mother’s and my own skin really love this ICT treatment. While it is drying at the face, gentle peppermint fragrance feels like a joyous inspiration. It really smells super yummy. The skin is icy cool as ICT solidifies on face which takes a few minutes. It feels great and is a true sensory delight! My mother and I kept ICT on for approximately 25 minutes before we rinsed it off our faces and neck.. The result was us feeling silky-soft and very fresh. It is the best facial mask we have ever used! After ICT we applied Hydrating Control Serum moisturizer and Plantago Essential Eye Gel to the eye area. And now…. I make myself ready for our beautiful Danish outdoor Easter festivities. While waiting for ICT, the peppermint scent is a joyous inspirational smell. It takes approximately 3 minutes after application to feel it’s great, truly sensory delight. After 25minutes Anna and her mom rinsed off and both were delighted with the feel of freshness and silky skin feel… Anne mentioned this is the best beauty mask she had ever had! Thanks Milla for your efforts in promoting Paul Penders products in Denmark! I was very fortunate to be given an opportunity to pamper myself at Alun-Alun Spa. Last Saturday, I took advantage of my off day to visit Jenny at Alun-Alun Spa at the Pantai Cenang branch. Jenny is the owner of three Alun-Alun Spa branches in Langkawi – in Bayview Hotel, Kuah Town, in Pantai Cenang and in Tropical Resort, Pantai Tengah respectively. She has been in this business for six years and the branch in Pantai Cenang is the third spa. I think it is unbelievably fast to become so successful in six years. 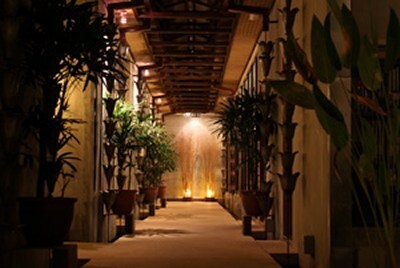 Walking along the corridor of Alun-Alun spa to the lounge made me feel at peace and relaxed. Sitting on a cosy sofa in the lounge, me and Jenny had a little chat before going for a spa. From the conversation, I found out that she is a humble and spiritual person with a good soul. I noticed that she has healthy complexion. When asked if she’s using Paul Penders products, she said that she did not use much skin care products and that she only used organic soap to wash her face. She said that all the spas used Paul Penders products but under her own label. 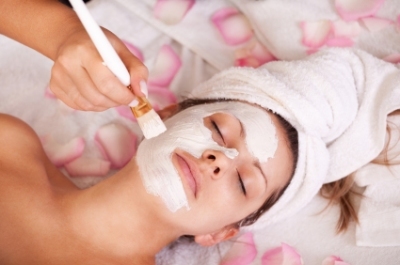 The spa products include natural and pure essential oils that you can buy from their spas. She believed in offering the customers the best from the spas – from the spa products to the services, from the spa therapies to the luxurious experience. That’s why she tested a few products to gauge the energy charges and found that Paul Penders products had the best energy charge that was suitable for spa treatments. She is also one of the kind-hearted people who manage a vegetarian restaurant that is located in Kuah Town. This restaurant provides food for the needy, the poor, the jobless for free or at a minimal amount of money that you want to pay. Not only Jenny and her voluntary partners help to run this restaurant, but also the kind islanders who donate money and food to sustain the place. Every month, Paul Penders sponsors this restaurant with fresh and quality food. Jenny was grateful to see the continuous contribution from the people on this island and their love had touched many others. After the talk, it’s spa time! Jenny suggested me to go for one of their signature spa therapies called Spirit of Alun-Alun. My 2-hour treatment began with a rejuvenating foot bath when I had my feet soaked in warm water with fresh flowers. Then came the body scrub which incorporated local indigenous ingredients such as turmeric to remove dead skin cells. After that, my whole body was gently rubbed with rich nutritious yogurt, leaving my skin soft and smooth. After a quick shower to wash off the yogurt, I indulged in a relaxing herbal oil massage. The white tea massage oil smelled pleasant and I felt rejunevated after the treatment, as if every cell in my body had been miraculously revived. It was a wonderful experience for me. Pamper yourself with a nice massage or a spa treatment, whether you want to relax or release stress. I’m so sure you won’t be dissapointed with the friendly and professional services provided at Alun-Alun Spa. ICT helps to improve skin’s elasticity, helps to reduce the appearance of fine lines & wrinkles and increases moisture levels. At the same time ICT gives you a softer, smoother & clearer complexion. This unique skin treatment contains 22 certified organic herbs, essential oils, ceramides and vitamins. ICT improves skin’s elasticity, reduces fine lines and increases moisture levels. Mix the 2 product components that allow quick penetration of nutrients into skin and provides clear complexion. To use mix 2 scoops of ICT I with ¾ scoops of ICT II (for multiple amounts use same multiple dosages). Application tools and directions are inside the box. Let mixture develop for a few minutes and apply mixture with a brush or spatula onto face and neck and avoid applying close to the eyes. Leave 5 to 30 minutes then rinse off. 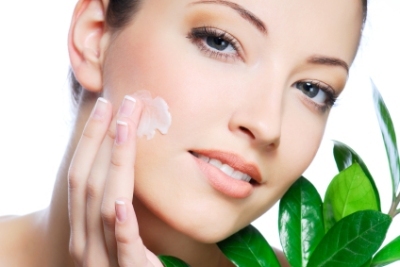 For sensitive and dry skin apply a moisturizer before treatment. Voila! These very simple steps “makes you own a spa at home!” It not only provides you with a fresh and clear complexion, it also makes you feel very relaxed. Try it and be sure to let us know what you think? …if the list of ingredients in your skincare product mentions “lanolin” the product actually contains sheep skin oil extracted from wool? 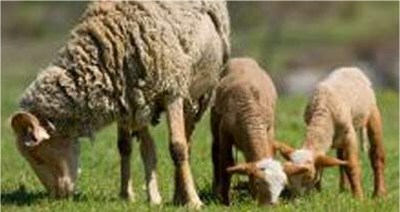 Lanolin (also called wool wax) is known to cause allergic reactions – especially if you already suffer from eczema. By using a Paul Penders natural organic personal health care product you will never get in contact with lanolin. Instead of lanolin, Paul Penders products contain natural essential oils and wax of the best and purest quality. 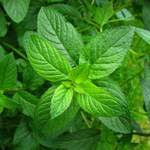 Peppermint essential oil is an example of one of the essential oils, used in Paul Penders products. It is obtained through steam distillation, and possesses antiseptic, anti-inflammatory characteristics that cools and soothes skin. Last Tuesday, March 29, was the day my father decided that I had to go out and start my own business with Paul Penders products! Never mind being scared of flying. Never mind being scared of new things in life…. Just do it he said and go for it! So here I went that day all the way to UK… Yep, little bit nervous and also unknown with business traveling to visit the distributors of Paul Penders, The Natural Skincare Company, Ltd. talking about their experiences how they have set-up the business with my father’s products and become successful in England. My journey started at 5AM, driving to Amsterdam Airport and then flying into London Gatwick, followed by a train to Harsham. 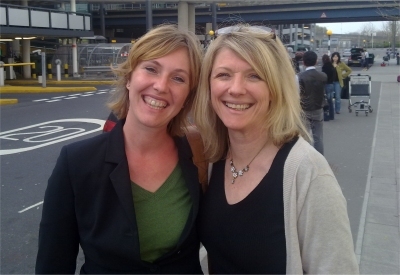 There was Amanda….. one of the owners of The Natural Skincare Co; a wonderful and warm hearted woman, she picked me up from the train station. She was not only beautiful, but also very enthusiastic about the products and very positive in spite of a bad cold. She talked about all the obstacles she had to fight against and the hard struggle to stay in business with Paul Penders cosmetics in a very competitive market. But also she also told me about many wonderful responses from her loyal customers because of the sometimes “healing effects” of the products. She talked highly about her #1 hero product, Kigelia Lipo & Phyto-Tocotrienol Firmer Curves that contains an extract prepared from the Kigelia Africana tree. Kigelia bark, leaves and the fruit pulp contain flavonoids and glycosides which have been shown in clinical studies to help regenerate collagen and elastic in skin and increases breast firmness. However also she talked about her agony for the “shameful removal” by Paul of Walnut Oil Shampoo from the shelves. Shame on you, Dad! 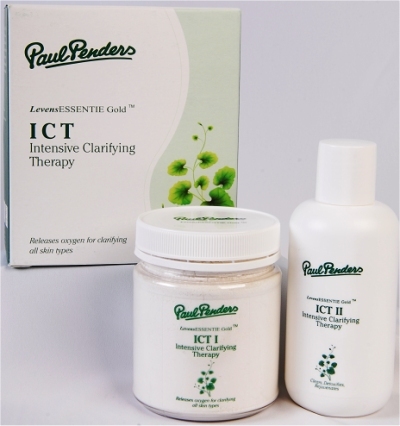 Amanda also spoke about ICT (Intensive Clarifying Therapy), the great oxygen mask that deeply cleanses skin as no other skincare product can, and mentioned that people with dry and sensitive skin should apply any Paul Penders moisturizer before applying ICT for increased enjoyment of the treatment. She talked about her lovely family and showed me her beautiful, romantic English house in the middle of a serene setting where the office and warehouse is also located. What really made me like her was that she laughed a lot. To me, she is an example of a very happy, strong-willed, positive woman. I became truly inspired talking with her. Then, Amanda’s lovely and charming husband, Adrian, invited us for an English lunch at a real English pub! I realized that, if there is one place on earth that matches Paul Penders’ vision on natural and organic cosmetics, it is right where Amanda and Adrian live, conducting a successful business. Time seems to have stopped there. One really wishes to relax in Horsham and enjoy how Mother Earth takes you back to the birth of a season… the season of spring in England. Is God not all we need in this stressful world? And the comfort of nature? And what nature so beautifully provides us is partly brought forward by our natural organic cosmetics.